Fortnite players aiming for a podium finish whenever they pilot their gliders onto Battle Island will be keenly aware of the threat posed by other gamers, but that’s not the only danger that awaits veterans and the uninitiated alike. Even since the Battle Royale title’s earliest days, traps have been a recurring part of the existing metagame, promoting more indirect means of dealing with potential aggressors. For seasoned players, in particular, jury-rigging spike traps and placing them in known hotspots has been a well-trodden path to success, and Epic Games seems keen to provide more tools for adopters of that playstyle. A release date has yet to be set, but confirmation of the new Poison Trap item comes by way of an image posted to Fortnite‘s in-game news feed adorned with the description “It’s a Poison Trap! Watch your step lest you trigger a trap!” You can check out the upcoming addition below. 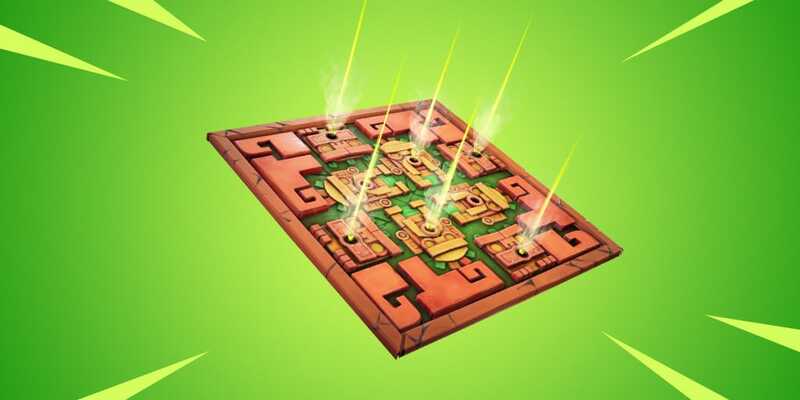 As for when players can expect to utilize the new environmental danger for their own ends in-game, it’s likely that the Poison Trap will arrive as part of tomorrow’s v8.20 patch which, among making balance changes and fixing an arm’s length list of bugs, could also mark the commencement of new Limited-Time Mode, The Floor Is Lava. Details for the latter began making the rounds yesterday and appear to be focused heavily on testing players’ building skills. Lava erupting from Battle Island’s volcano added in Season 8 will progressively cover the various biomes and it’ll be down to your discretion how you choose to survive. For what it’s worth, our suggestion is to fell every tree in sight then get to building the tallest tower possible. For further details regarding Fortnite‘s upcoming LTM, see here. Alternatively, if you’re still knocking out any remaining Week 4 challenges, this handy cheat sheet has you covered.